WARNING: Very graphic photo ahead. Teresa lost her snout when she was attacked in December by a person in Thailand hoping to make a meal of her, but she escaped with her life. 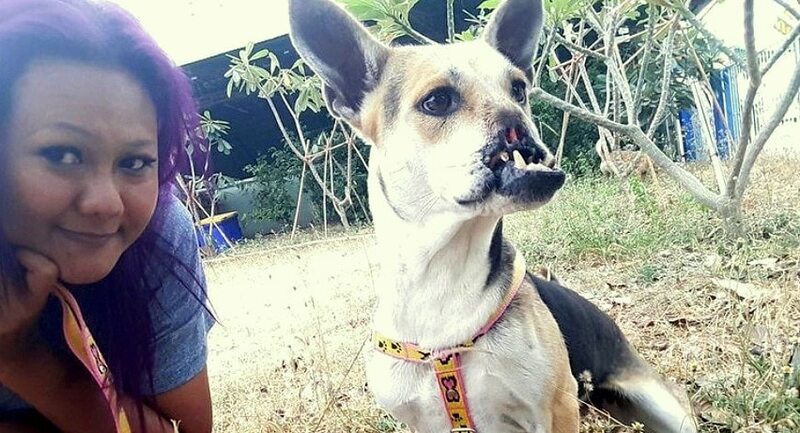 Despite her gruesome injury, she remains loving and trusting of people, and by the end of this month she will be in New Jersey, hopefully with a family for her shortly after. In their goal to eat her, someone attempted to cut off Teresa’s head, but they missed and sliced off most of her muzzle instead. 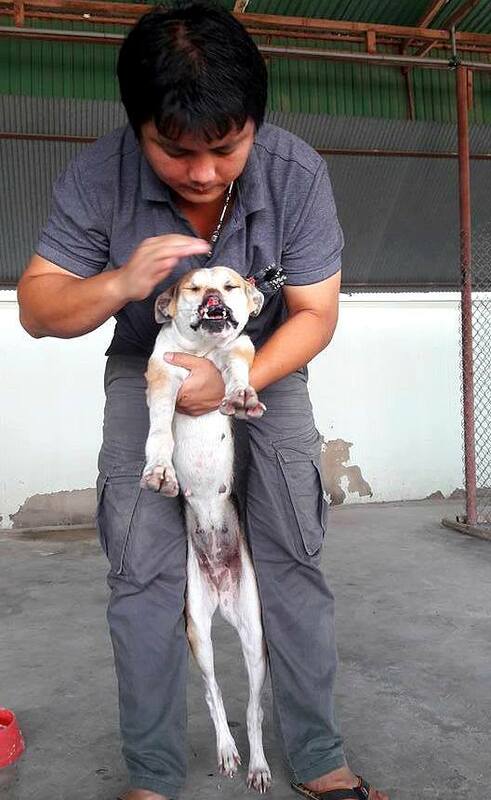 Though she was undoubtedly in excruciating pain, she was very fortunately saved by rescue workers. 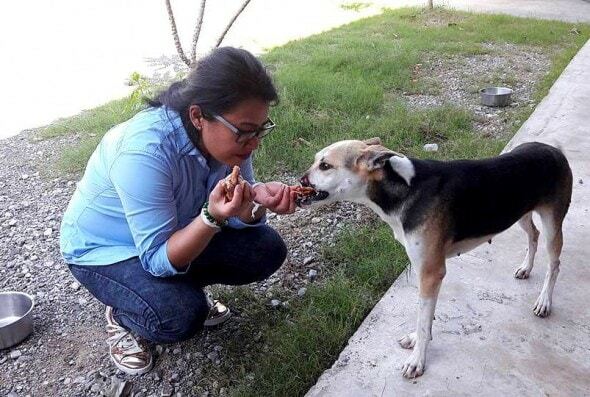 Khunkitt Mhanakorn darted her so she could be caught and saved, and Oranuch Ceeview has been delicately feeding her and showing her that not all humans mean to do her harm. 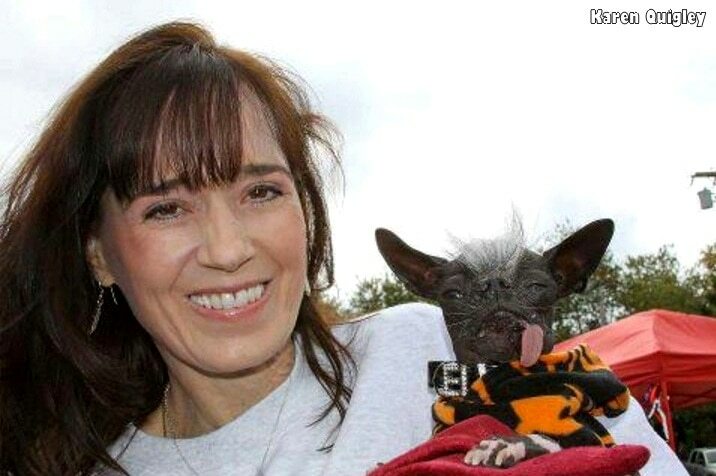 Two American animal welfare advocates, Michelle Weirich and Karen Quigley, the latter known as the mom of former World’s Ugliest Dog, Elwood, have stepped in to ensure that Teresa would have a better life overseas. When Teresa came into their care, they knew she was going to need much more treatment than they could afford to provide, and contacted Weirich to see if she could help again. But she wasn’t able to on her own, so she got in touch with Quigley for assistance. Quigley volunteered to foster her, and Weirich agreed to take care of Teresa’s travel arrangements. 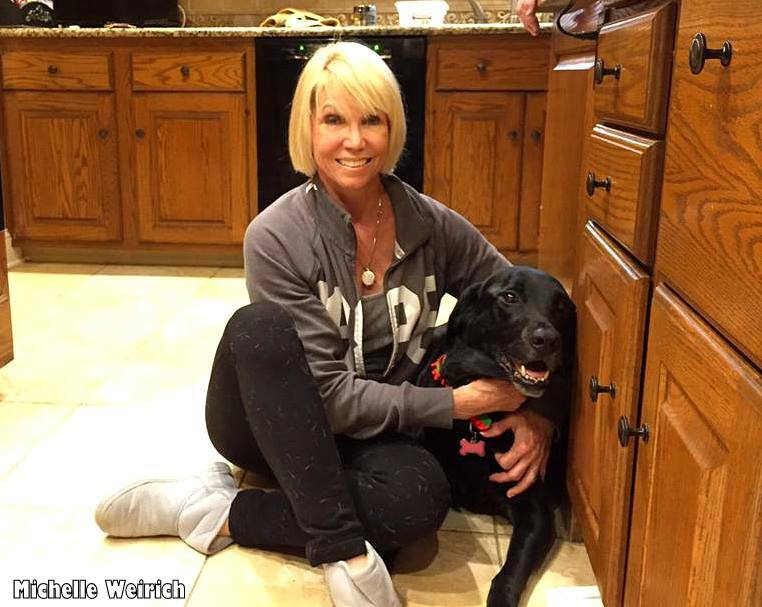 The pair spoke to an oral surgeon from NorthStar Vets in Robbinsville, New Jersey about what the reconstructive surgery will entail. 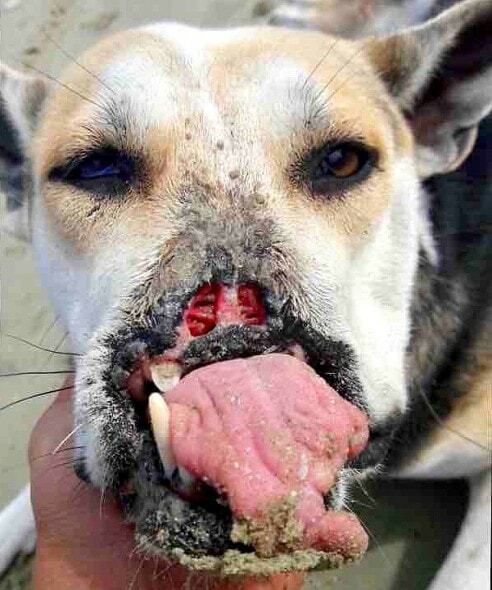 In addition to the gaping hole in her face, Teresa has exposed nerves, broken teeth, and tongue trauma. 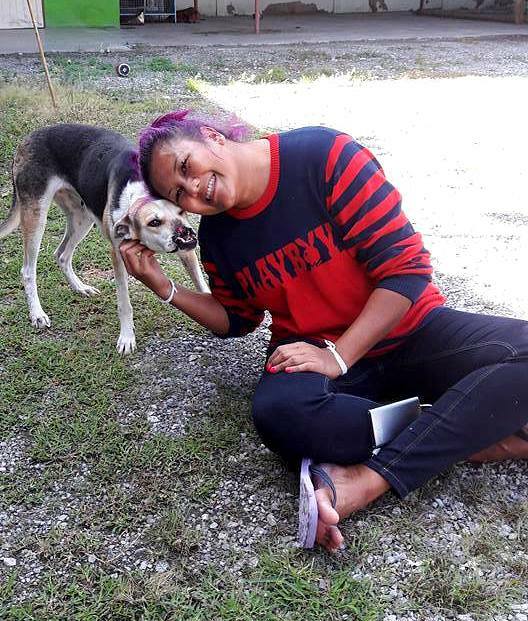 To allow them to do this, a GoFundMe campaign has been launched to raise the funds necessary to transport Teresa to the US and to get her as much medical care as possible. The two-year-old pup is scheduled to arrive at JFK International Airport on the morning of January 28th. “We are all just so excited to meet her. 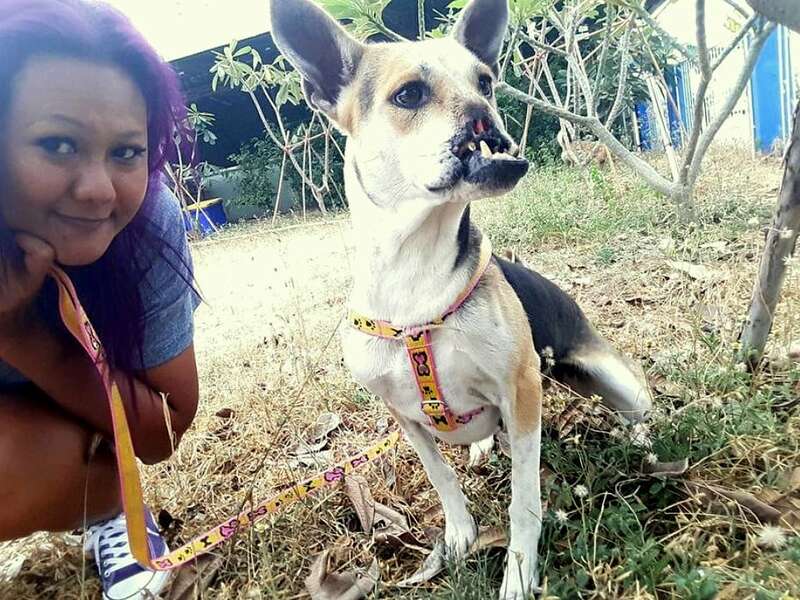 The rescue in Thailand has been sending me updated photos of her eating and wagging her tail and that’s such a wonderful thing,” said Quigley. The women are giving Teresa a couple of days to get adjusted, and then she will be evaluated at NorthStar on February 1st. If you would like to help Teresa receive all the medical care she needs, please click here.